Here is an easy card to make for Valentine's Day, a card that is simple enough for older kids to try. 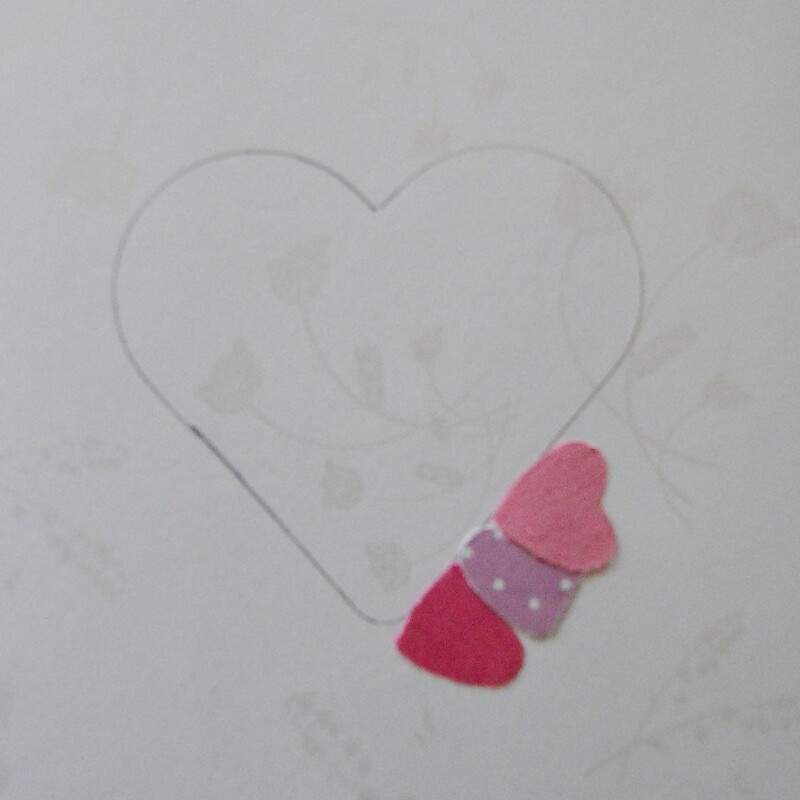 The heart in the centre creates a striking focus point, making sure that the message of love is not lost on your loved one. 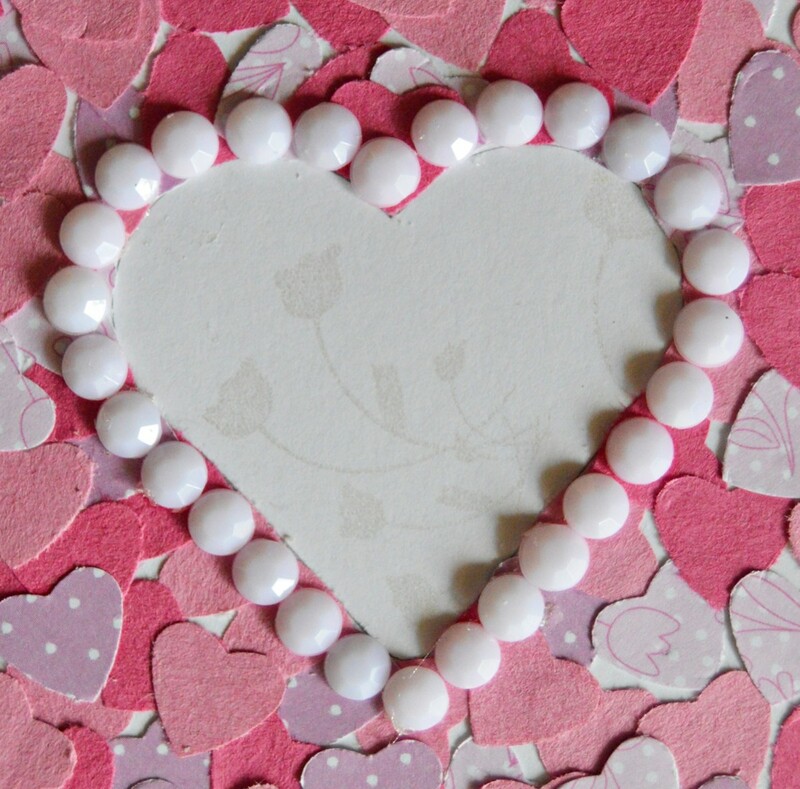 Score the white shimmer cardstock to create a card sized 5.6" x 4.1". 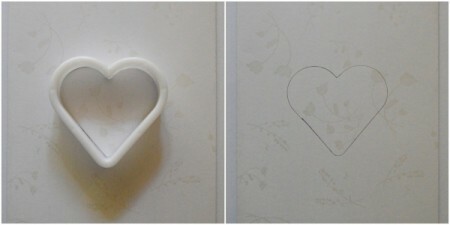 With the fold at the left, use the cookie cutter and pencil to trace a heart onto the front of the card. 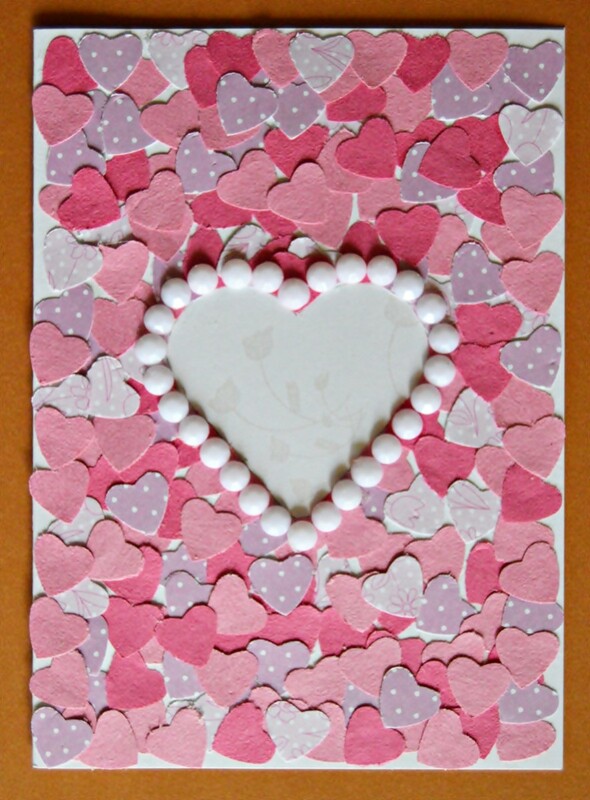 Punch hearts from the sugar papers, pink-with-white-polka-dots cardstock, and pink floral cardstock. 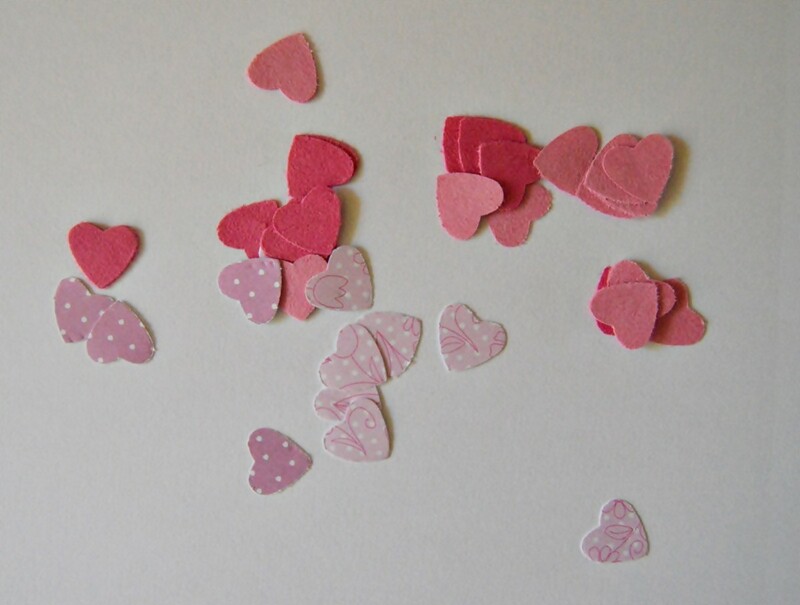 Glue punched hearts all around the outline of the traced heart. 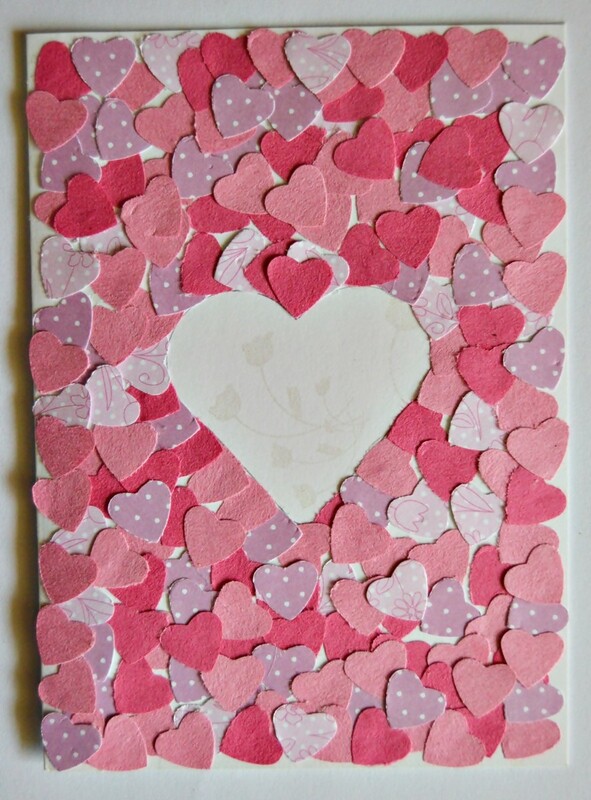 Cover the rest of the card's front panel with punched hearts. To complete the card, glue rhinestones one by one all around the traced heart.